No you're right about "stan". I didn't even know what "bae" meant So thanks for telling me. I hate ship too. Or the obsessive ones who are so demanding. Earlier in the thread I confessed to already starting to plan my Christmas decor, etc. It's not huge. It's 4 1/2 feet tall. So now I have my 6.5 foot tree, the 4.5. foot one and two other small ones I put in the den. Four trees to decorate. More confessing. I have the three smaller ones done as of yesterday. I'll probably start working on the big tree today. It will take a while though. I am taking it slow and easy because I have a bad back and I can only do so much before the pain starts. I'm having a sit-down dinner on Dec. 20th. I already have my menu and the recipes I want to try all saved in a folder on my desktop titled... Christmas 2014. I feel like a nut sometimes for being such a planner, but I have to or I get overwhelmed. so how many trees is that all together??? I love how organized you are ... having taught for over 30 years, I'm pretty good at organization and crowd control (Lol) but I'm sure not at your level! Love it. What's your menu like this year? Since my daughter and her husband are living in Portland Oregon... I'm having a nostalgia meal for her. Twice baked potato halves ? 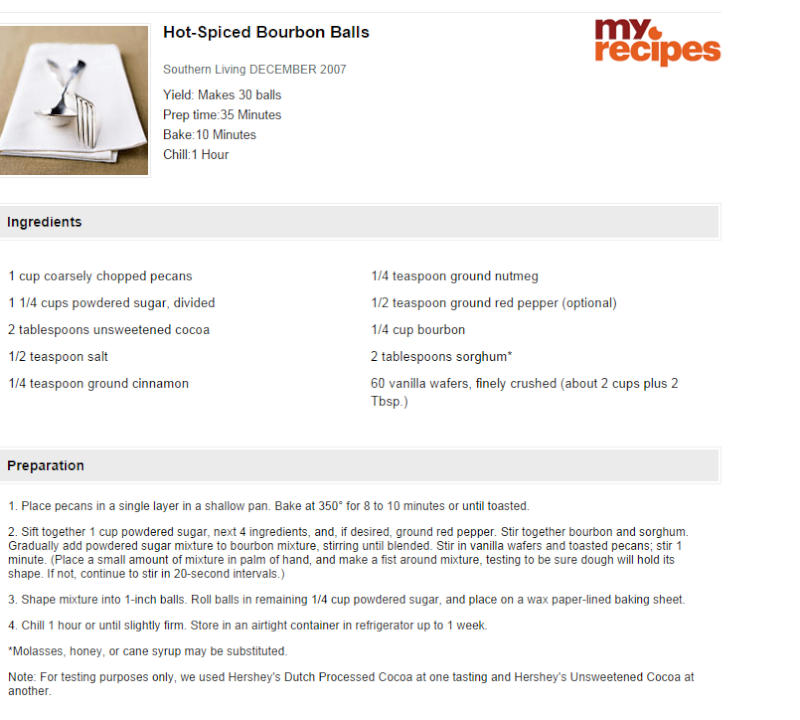 Bourbon Balls intrigue me ... they sound decadently delicious! I can totally taste them right now. I think I'm going to call my mom and see if she has the recipe. Thanks for the recipes, Nancy. I'm curious to see if there's a difference with my g-mom's recipe...if my mom ever finds it. 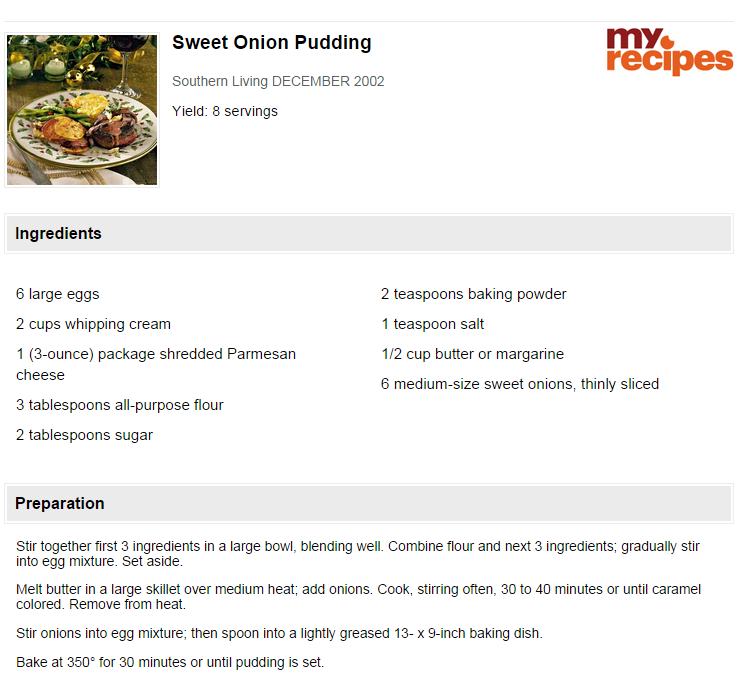 nancy that onion pudding sounds delicious. Thanks Nancy ... they both sound delicious. I'm going to try them. I was going to put this as one of my Amazon links, but decided to put it here. The above is a link to an Amazon page that has the brand Simply Organic on it. I can't tell you all how great these are. My favorites are some of the blends, but everything is top quality. posted my tree pictures this morning to Facebook. The pictures never come out as good as I would like. Wow, Nancy! They are so beautiful. are they real presents wrapped and under the tree? LOL. Yes. Part of my confession. I figured it out. I get stressed about getting stressed. So I do as much as possible as early as I can so I don't get stressed. Pretty. I'm guessing the white/silver tree looks even more gorgeous in person. That's the one I liked because of the snow flakes. I commented on FB, but I'll comment here too. They're beautiful, you did a great job. Patience of a Saint lol. I have the same angel. My confession...I don't even know what Etsy is? I don't know what it is either??? lol. What I call it is, a hodgepodge of people selling stuff, mostly handmade products. I just am OBSESSED with their jewelry. Hope all is well Frances! Thanks for the explanation! I'll have to check Etsy out, but only to look. Also, thanks for asking, I'm fine and hoping the same for you. I'm watching dating naked for the first time ever. I love it. Help! Subject: Re: Have a confession to make?